I’m not sure exactly what I’m going to do with myself. Though not entirely true, I am about to start six months, technically known as administrative leave and commonly known as sabbatical. So, you won’t see me blogging until I get back in July, but I assure you that I will be back reenergized, recharged, and firing on eight cylinders for my final two years in my term as dean. I’m very much excited for the next six months, but as I have never taken any prolonged time in the last forty years, I’m not altogether certain how I will cope with anything less than the hour-by-hour structure I’ve become accustomed to. But I am looking forward to trying. One thing I am certain of, is that my wife Cheryl, although she may be excited to be spending a bit more time with me, will not want me around the house 24-7! Twenty-two years ago, I had the good fortune to be the founding director of what is now known as the Wilson Centre. This is a centre dedicated to the focus of my academic scholarship, namely research in health professions education. The good folks at the Wilson Centre have been kind enough to provide me with an office for the first three months of my administrative leave. From that perch, I will plan on carrying on with some research in and around the transformation of our residency programs to CBME. I will also be involved in graduate student education. And I very much hope to do some writing, which has long been pushed to the side of my desk. During this time, I have a lot of travel planned. At the beginning of February, I will be travelling to Ethiopia to visit Haramaya University, where together with the Royal College of Physicians and Surgeons of Canada (RCPSC), I will be exploring, on behalf of Queen’s, a potential partnership in residency education. Later that month, I will be the inaugural Professor-in-Residence at the RCPSC for a two-week period. In March, I am planning to travel to Chicago, where I will be formally exchanging ideas about residency education with both the Accreditation Council for Graduate Medical Education (ACGME) and the American College of Surgeons. For my second three months, I will be travelling to England. 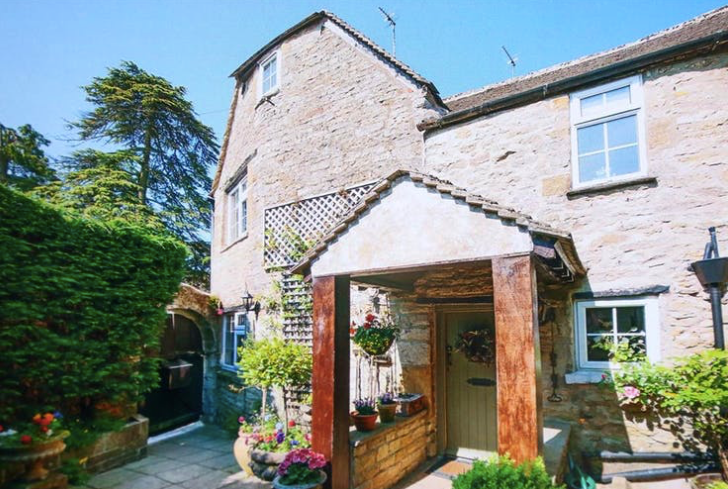 We have already rented an English country cottage in a small town, Stow-on-the-Wold. So I will be living in the Cotswolds and training into London where I’ll be working. While in the UK, I will be a Visitor at Imperial College of London to which I was appointed as an honorary Professor in 2007. Imperial College is regarded as one of the leading institutions in surgical education in the world, and I’m confident I will learn much there to bring back to Queen’s. I will also be spending time at the Royal College of Surgeons of England, with whom I have recently been involved with, consulting on CBME. I also have plans to travel to Dublin to the Royal College of Surgeons of Ireland, an organization that has pioneered the use of digital media for surgical training. During my administrative leave, I also plan on lecturing, and currently I’m scheduled to deliver keynote lectures at the Society of American Gastrointestinal and Endoscopic Surgeons (SAGES) in Seattle, the Royal Society of Medicine (Coloproctology Section) in Guildford, England, and the Kergin Lecture for the Department of Surgery at the University of Toronto. I am certainly excited for the next few months, and know that the Faculty of Health Sciences will be in excellent hands with Dr. Chris Simpson serving as Acting Dean. Most of our readers will know Chris, an outstanding cardiologist and former Division head at Queen’s, our former President of the Canadian Medical Association, and our current Vice Dean (Clinical) in the faculty. I am very grateful to Chris for agreeing to step in, and know that he will have the entire faculty’s support for the next six months. Best wishes to all of my readers here for a very terrific holiday season and a happy new year. Before you know it, six months will pass quickly by, and I will be back blogging. See you soon. Fond memories of my time post-FRCPC at University College London and regular trips doing memorial brass rubbings currently hanging from our walls in O'town. Thanks Rick, Appreciate the good wishes. I wish you all the success, happiness and joy during this amazing time of your life. We will be here, waiting for you!!! Happy Holidays! Thanks so much Adrian, Appreciate the good wishes. I am very much looking forward to a change of pace. You have organized a very full and undoubtedly invigorating sabbatical. The Professor-in-Residence program at the RCPSC should be a win-win for the College and you. What do you anticipate will be your focus during that time? Thanks for your comments. I anticipate spending most of my time at the College invested in CBME. I will also be giving some talks, and doing other council activities. Richard, I try not to comment too frequently but was surprised to learn about your plans. I and I hope many other Queen's Meds graduates wish you all the best for your time away with such a busy schedule of commitments, and hope you will come back to continue your outstanding leadership. Thanks for your good wishes. I am very excited about a different pace for the next six months. Time to learn, teach and write!. Richard, a well-deserved upcoming administrative leave! We look forward to having you and Cheryl in Toronto, at least for a part of it. I wish you success in all the many facets of your impressive and ambitious program. And I am looking forward to speaking to your Department at the Kergin Lecture. What a wonderful privilege. Richard and Cheryl, Have a wonderful and fulfilling sabbatical. You both richly deserve the break and time together. Enjoy the holidays with your family and above all be well. Thanks so much for your kind thoughts. Cheryl and I are looking forward to some extra time together... for Cheryl, as long as that does not mean "for lunch". and wish you and Cheryl a joyful and enriching time away. Thanks so much for your very kind words. I am planning on super-charging my batteries. Then, Ill be ready fr fll speed ahead as of July 1. I wish you and Cheryl a wonderful leave. You will be doing and seeing some fascinating things. Thanks so much for your kind wishes. Looking forward to writing, learning and doing some teaching. K. G. Appleby, Med's '54. Med's '54 sends along best wishes to Dr. and Mrs. Reznick for a relaxing and rewarding sabbatical. Thanks MEDS 54... and Thanks Ken. I guess, this will be a mini road test to see how I adjust to a somewhat diminished pace. Let's see!